I was away from my blog the past week since I had too many things to finish, to many gifts to complete and too many friends to see. I have to admit that it was a crazy but wonderful week. Christmas may passed but we have New Years Eve and it is also not too late to offer your handmade wishing card to your beloved friends. I have created an easy one this year with my princess! So let’s start. 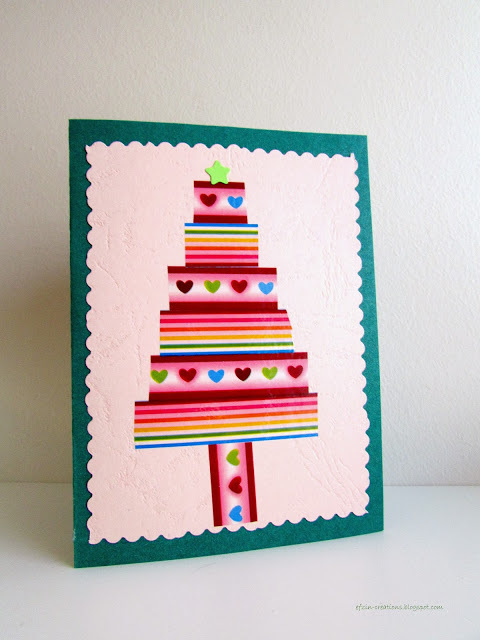 First of all choose with colored paper you will use as a base of the card and cut it in the size you wish. With the second colored paper just cut with the scissor that creates “waves” (or whatever schema you have) a smaller square, just to fit perfectly to your card. Cut your washi tapes in small pieces and just keep in mind to have every time a smaller piece and glow it on your square paper. In this way you will create a wonderful full of colors Christmas tree. Complete your tree with a tiny star, cut it with scissor or just use a paper pacher with a star schema. 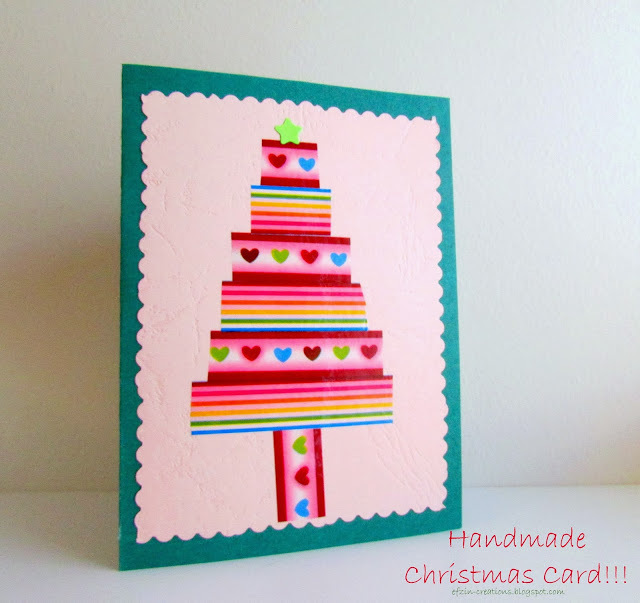 Your handmade Christmas card is ready!!! !